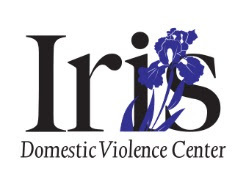 We are extremely pleased to announce that the Iris Domestic Violence Center has been named as a recipient of the 2016 Women of Excellence Awards by the Louisiana Legislative Women's Caucus Foundation. See below for the official press release as well as Save-the-Date information about attending the awards ceremony. 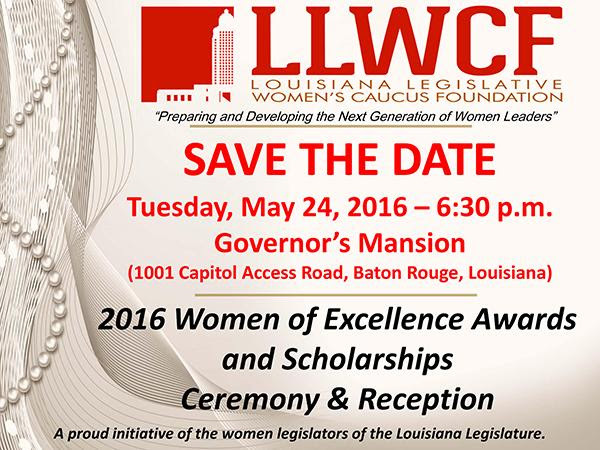 Baton Rouge, LA - The Louisiana Legislative Women's Caucus is pleased to announce the recipients of the Louisiana Legislative Women's Caucus Foundation's 2016 Women of Excellence Awards and Scholarships. The awards and scholarships will be presented at the 9th Annual Women of Excellence Awards and Scholarships Ceremony and Reception in Baton Rouge on Tuesday, May 24, 2016 at 6:30 p.m. at the Governor's Mansion. Individuals can register online for the event at www.llwcf.org. The Women's Caucus created the prestigious awards in 2008 to recognize and honor the exemplary achievements and contributions of extraordinary Louisiana women who personify excellence in leadership, profession, academics, community service, character and integrity. The women of the Louisiana Legislature are committed to helping women and girls achieve their academic goals. Scholarships totaling $19,000 will be proudly awarded at the event. A sincere "thank you" is extended to the dedicated sponsors, donors and friends, who stood in partnership with the LLWC Foundation to secure monies for scholarships.